1. Click the link above and print out the page (if you still have the one from class you can use that one). Read and sign. Bring to class. Hand in on time. 2. Describe and identify each of the Five Pillars of Islam. 3. Explain how Islam was able to spread with incredible speed. 4. Who are the Ummayads? Who are the Abbassids? What was their dispute about? What was the result? 1. What do you consider to be the two most significant developments in the arts and sciences during the Golden Age of Islam? 2.. What is Hijab? What arguments are given for the benefits of it? What is the point that Ms. Carlo makes in her article ("When I covered my head.....). Does she make a valid argument? Explain why you agree or disagree. Color/Shade the Countries of South America. Color and label the countries of the African continent, include the islands off of the East coast. 2. Explain the circumstances surrounding the split in Christianity? What were the results? 4. What circumstances led to Russian Independence from the Mongols? 2. What characteristics do you think made Charlemagne a good ruler? How did he use these to rule the largest empire in Europe? 3. From what you have read what is the relationship between the Church and the ruling Frankish Kings? Do they help each other? Hurt each other? Was there separation between Church and State or cooperation? 2. How did the Church participate in the Feudal system? 3. Explain the demands that lords made of vassals. (wartime and peacetime). 4. How were manors able to be self sufficient? Why was this important in the Middle ages? 2. How did townspeople become independent of the feudal system? 3. Explain the problems within the church and the reforms attempted. What were the major points of conflict between Pope Gregory VII and King Henry II? 4. What are the reasons for the Crusades? What were the outcomes of the Crusades? 2. Explain the three roots of medieval culture? How did European civilization decline after the fall of Rome? 3. What was Chivalry? Describe the process which one went through in order to become a knight? What virtues would one need to become a knight? Would you have enjoyed this lifestyle? Explain. Print out these questions and bring to class. The completed answers will be due next week after we finish viewing the film. This movie was based on the book "The Name of the Rose" by Umberto Eco. It is set in a Monastery in the 1300's in an isolated part of Europe. There are several themes and historical events that are addressed in the movie; Monasticism, Heresy, Inquisition, Scholasticism, Faith, Reason, etc. As we watch the movie please answer the following questions. 2. Explain and give examples of how each of the following are addressed in the movie. 3. Umberto Eco, the author of the book on which this movie is based is a man of letters and a respected professor at the University of Bologna. He has written many books on philosophy and is considered to be one of the foremost thinkers of our time. a. Why do you think he chose to use a labyrinth as the setting for the movie? b. Why do you think he made Yourgi Blind? Why was Yourgi so set on keeping the library and the books in it a secret? 4. Now the BIG QUESTION; At the end of the movie does Adsel make the right decision? What would you have done? Countries and Capitals: Label and color the countries and capitals of Europe. 1. What were the defining differences between the Persians and Spartans? 2. Imagine you are Xerxes' scout, sent to spy on the Greeks: what would you tell Xerxes about the behavior of the Spartans? 3. Imagine you are Leonidas: what would you do to foster morale and courage among your men? 4. Should Themistocles have been put on trial for telling a lie to the people of Athens? Why? Why not? 5. What are three lessons that can be learned from the story of this conflict to help build the future? 1.Write one paragraph describing the extent to which you agree or disagree with Robert Kaplan. 9/13 #3 Geography: More than mere land: Human and Political Geography. 1. Land area 2. Coastline 3. Population. 4. Population growth rate 5. Arable land 6. GDP (Official Exchange Rate), GDP per capita, GDP growth rate, GDP Composition (Largest contributing sector by percentage to GDP) 7. Unemployment Rate 8. Exports 9. Imports 10. Export Import Partners 11. Current Account Balance. 12.Form of Government 13.Electricity Consumption 14. Oil Consumption 15. Oil Production 16. Primary language 17. Environmental concerns 18. Climate 19. Predominate religion 20. Literacy Rates (Male and Female) 21.Life Expectancy (Male and Female) 22. Internet Users (Whole number and percentage of population) 23. Airports with Paved Runways 24. Number of Seaports 25. Anything else you find interesting or of note. 1. In your experience and from what you have learned thus far in your life: What is history? 2 Explain in your own words the four theories of History that Landry describes. Which of these do you find most acceptable? Why? 3. Using your dictionary, look up the following terms, then, rewrite the definition in your own words. Click on the Link above for the map. Color and Label all of the countries and capitals. Label the major bodies of water and Rivers. Color and label each of the countries on this map with the geographic features listed below. Draw in The Nile River, Indus River, Tigris and Euphrates Rivers. Color and Label the Caspian, Black, and Aral Seas. Shade in the Himalaya, Zagros, and Caucuses Mountains. 9/24 #7 The Creation of Earth and Humans. 1. How might you explain similarities between various myths from different regions and cultures and ages throughout the world? What is the difference between science and myth? 2. Ms. Farmer explains that in many myths something is destroyed in order for something else to be created. Is this possible? Why? Why not? Give specific examples to support your ideas. 3. George Lucas has said that he sought to re-create the ancient myths for modern humans through his Star Wars films. Do you agree or disagree with Lucas's view that it is important for humans to always have myths? Explain your answer. 2. Give three reasons why fire is such an important element to the lives of humans? 3. 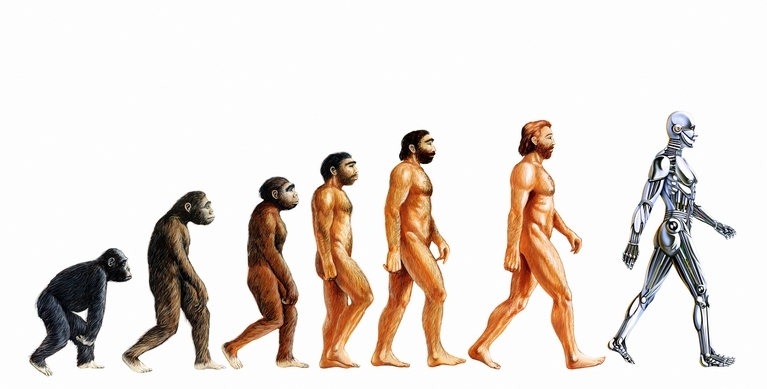 Explain the differences between homo habilis, and homo erectus and homo sapiens. 4. What is cave art? Why do you think early humans practiced it? THE CAVE OF LASCAUX! 5. Which advance by a hominid group was the most important for the survival and advancement of humans? Explain your answer. *Optional: Answer the Questions in Lyrical/Rhythmic form. Write a poem or a song that conveys the information of the homework. 2. Describe the factors that played a role in the beginnings of agriculture. 3.What are the key characteristics of civilization. Have a listen to Students who put this homework to Song! 1. List five reasons why the author says that humans are worse of as farmers than as hunter-gatherers. 2. Why does Jared Diamond say that humans were trapped into the idea that agriculture is better than hunting-gathering? 3. Explain whether you agree or disagree with this article. Give at least two reasons to support your answer. 2. Did Hammurabi's Code advance civilization? If so, how? If not, why? 3. What is cultural Diffusion? Give an example of it that you have seen in your own life. 4..How did the need to interact with the environment lead to advances in civilization? Give two examples from Sumerian times and two examples from today. 2. What do Egyptian beliefs tell us about their morals? Be specific. Give examples. 3. In your assessment, what were the two most important achievements of Egyptian civilization? Explain why you think so. Who is the hero in this story, Isis or Osiris? Maybe Horus? Choose one. Explain your answer. A. Is the world Civilized? B. Do you agree or Disagree with Jared Diamond when he says that humans have been trapped by Agricultural Civilization? In other words...Is Progress a trap? 2. It has often been said that the civilizations of the ancient world influenced and in turn were influenced by each other. Explain the extent to which this is true in ancient Greece. Be specific! 3. Why are the Homeric epics considered the high point of Greek culture during the Dorian Age? What do they tell us about Greek ideals? Shade and label the following regions and features on this map Mediterranean Region. 1. helots, phalanx; Marathon, Salamis; Plataea. 2. Who was Solon? What reforms did he make? Which reform in your opinion most benefited Athens? Why? 3. You are a reporter with Egyptian Traveler magazine. Your assignment is to write a feature article on the development of Spartan or Athenian society. Choose ONE. Be sure to include the "who, what, where, when, and why" (i.e. education, government, military, art, etc.) A good article should be at least four paragraphs. Be prepared to share your article in class!! 2. How did the Royal Road aid in the development and maintenance of the Persian Empire? 3. What did Zoroaster teach? How did it influence the rest of the world? 4. According to the Customs of the Persians as described by Herodotus which two do you find most positive? Which two most negative? Briefly explain your answers. 1. 1.What are some of the defining differences between Persians and Spartans? 2.What is the significance of Themistocles plan for the people of Athens? Why did he lie to them? Can he be excused for this lie? 3.Who deserves the most credit for the outcome of the Persian War Leonides or Themistocles? Explain why. 4. What do you believe is the most important lesson for people in the 21st century to learn about the history surrounding the Persian War and the last stand of the 300? 1. Who was Socrates? What is a Socratic Dialogue? Do you believe that the Athenian leaders were correct in how they dealt with Socrates' influence? Explain. 2. What is your opinion on the effectiveness of Plato’s idea that …Those who have can’t rule, those who rule can’t have. Good idea? 3. Plato believed that education was too important to be left to parents or popular culture. Do you agree? Why? Why not? 4. Why does Plato believe that a philosopher-king is most fit to rule his Republic? 5. Parents should not know who their biological children are, and children should not know who their biological parents are. Good Idea? Why does Plato say that the youth should be raised by the State? What would this achieve? 1. How does Aristotle define the State? 2. According to Aristotle, what is a Citizen? 3. List and describe the three forms of government and their perversions. 4. What does he propose are the primary concerns/responsibilities of a government? 2. Summarize Aristotle's views on women. 3. Defenders of Greek society would say that Greek women were treated as they were because it was of the utmost importance to have strong families and especially strong men to continue the civilization. Are the Greeks justified in their rationale? Explain why you agree or disagree? He has hired you to write a resume for him. Using the material and example of a resume below, write a resume that will get him the job! 1. What was the Hellenistic Age? How did it differ from Classical Greece? 2. What were some of the important contributions of Hellenistic thinkers in Science, mathematics, and sculpture? 2. In what ways were the cities of the Indus River Valley different from other early cities? 3. What important contributions did the Aryans make to Indian life and culture? 4.Compare the Indra of hymn I with the Indra whom we see in the second hymn. In what ways has he remained the same? Are there any important attributes ascribed to him in this second hymn that are lacking in the first hymn? If so, what are they? What inferences do you draw from them? 5. What evidence is there in hymn 3 for the emergence of what would become the Hindu caste system and how is that system explained and justified? Use this map color label the countries and capital of each country. Draw in and label the Indus River, Ganges River, Brahmaputra River, Western and Eastern Ghats, the Hindu Kush Mountain Range, and the Himalaya Mountain Range. 1.Identify: moksha, untouchable, dharma, Vedas, Upanishads; Caste, Mauryan Empire, Asoka, Kautilya, Chandragupta, Matriarchal, Patriarchal, . 2. Explain Brahman and its role in Hindu belief. 3. How are the ideas of reincarnation, karma, and caste related to one another? 1. What initial impression does the sahib have of the shoe-shine boy? How does the boy get to shine the sahib's shoes? 2. Why does the boy ask to borrow eight rupees? Why does he want eight and not five? Why won't he take ten rupees? 3. Does the sahib think the boy will ever return the rupees? Why does he lend the boy eight rupees. 4. How does the sahib's impression of the boy change? Why does it change? 5. What's the significance of the boy's smile when the sahib gave him the eight rupees? Why did the sahib smile when the boy reminded him about the 25 paise? 6. Why did the sahib walk away with a "pleased as Punch" smile? 7. What does the last paragraph tell us about the boy? Were you surprised? 3. How did Buddhism spread within India and then to China? Who is considered most responsible for the spread of Buddhism? 4. What are the Four Noble Truths? How does the Eight fold path relate to them? Color and label each of the countries on this map. Locate and write the capitals of each country. 2. How was early Chinese society organized? 3. Explain in words or by drawing how the dynastic cycle in Ancient China worked. 4. How is the Dynastic cycle connected to the Mandate of Heaven? 2. How did Shih Huang-ti reach his goals as a ruler? What were his most important achievements? 3. What is Confucius's concept of how the ideal state should be organized? 5 Choose a quote from Confucius that you would give to President Trump that would help him govern the United States. Explain why you chose the quote. 1. How does one define The Way in Taoism? 2. How would a wise ruler who is in harmony with The Way govern? 3. What are the two handles? How might a ruler use them to control people? 4. When posed the question; What is the purpose of good government, how would a legalist respond? How would a Taoist respond? 3. Who was Cincinnatus? In your analysis how did he contribute to Roman politics and virtue? 4. Draw a chart, diagram or picture showing how the Roman Republic organized its government. 1. Describe the problems faced by Roman leadership as the Republic grew and territory expanded. 2. What did the Gracchus brothers (Tiberius and Gaius) do? Why do you think they failed? 3. Explain the expression "Cross the Rubicon". How did Julius Caesar come to power? Who opposed him? What reforms did he make? 4. What measures did the government take to distract and control the people of Rome? 2. Using the excerpts from the Sermon on the Mount, make a list of at least five of the principles of Christianity. 3. Who was Paul. Why might it often be said that he was the true founder of Christianity? 4. Why do you think Christianity eventually won out over other religions and Roman persecutions? 1. How did the reforms of Diocletion postpone the collapse of the Roman Empire for about two centuries? 3. Why did Germans cross the borders of the Roman empire? Two Page maximum, double spaced and typed. Be prepared to read and defend in front of the class. Use what we have studied in class and your own outside research to form your position. This essay will be your exam grade for the Rome Unit. Agree or Disagree with the statement: Rome never fell. Parallels Between Rome and the U.S.